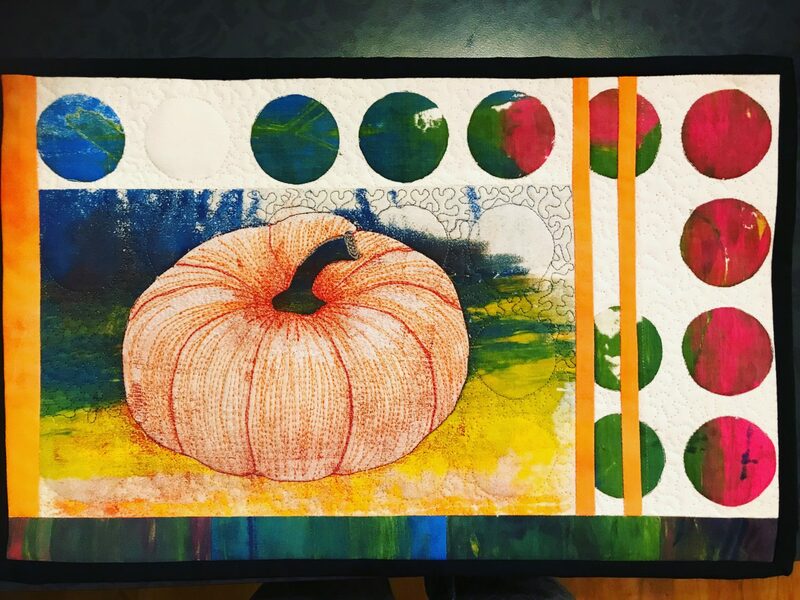 Screenprinting, monoprinting, free motion quilting and some treadwork. Beautiful composition and balance of colour and tone. Thank you Linda! It was an interesting process. I didn’t know how it would be from the beginning.